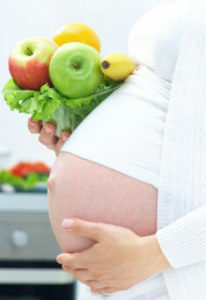 SIEF supports Early Nutrition, the Epigenome and the Prevention of Disease research project. Understanding the epigenome to promote health and prevent disease. Obesity is a major risk factor for several diseases, such as diabetes, hypertension and coronary heart disease and comes at a direct cost to the Australian community of $21 billion dollars each year. In 2011 around 26% of Australian children aged 7 – 15 years old were considered to be overweight or obese, double the prevalence recorded in 1986. Childhood obesity has considerable implications for adult obesity rates that are continuing to increase. Found deep in our cells, the epigenome (a phenomena often referred to as the “ghost in our genes”) ‘authorises’ the way in which information in the genome – the letters in the DNA code – is used throughout life i.e. the epigenome brings the genome to life. This ultimately influences the expression of certain traits including our risk of obesity and its associated metabolic diseases later in life. By identifying the epigenetic signatures established early in life that are associated with risk of obesity later in life, there is potential for modification of this set of semi-permanent, epigenetic molecular signatures. Understanding the epigenome is not confined to humans, but is also a key goal in the livestock industry. The understanding of epigenetic mechanisms will also enable improvement of livestock production traits, such as metabolic efficiency and growth rate, leading to a more efficient and sustainable industry. This project is being conducted by four notable Australian Institutions; the CSIRO, The Garvan Institute of Medical Research, The Women’s and Children’s Health Research Institute and the University of South Australia. It is known as EPISCOPE and spans laboratory to clinical studies. New ethical, evidence-based strategies to promote health and prevent disease through the adoption of healthier lifestyles and diet, and the development of health-promoting products. Detection of early life predictive biomarkers provides the opportunity for intervention long before obesity becomes established, rather than after its onset, when many interventions fail. This approach decreases the likelihood of obesity associated diseases and ultimately reduces the burden on healthcare. Nutritional guidelines to assist with educating the community about making informed food choices for a healthy diet. New understanding of how the epigenome of fat tissue is “re-set’ in obese individuals has the potential to provide new intervention approaches to both reduce obesity and minimise its harmful side-effects. Increased environmental sustainability of Australia by increasing the efficiency of meat and milk production, while minimising environment impact (particularly methane emissions).